When it comes to protecting our homes against burglars and vandals we take several precautions and security measures from alarms to CCTV systems. These measures are put in place to protect us, our possessions, and provide us with peace of mind yet they are often not implemented in or around the garage. We think of protecting our homes but protecting the garage is a common oversight. Regardless of whether it is used to store your car, DIY and gardening tools, or your home gym equipment burglars will not hesitate to break into your garage if it seems like an easy target. So, how can you keep your garage safe? 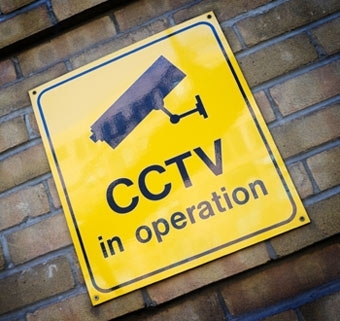 A staple part of security, CCTV cameras can prove equally effective in protecting your garage as your home. Despite your garage likely being a much easier target for burglars than your home the presence of cameras will still force them to reconsider. Should they not notice your cameras and proceed to burgle your garage the CCTV evidence captured could prove vital in bringing them to justice and regaining your stolen possessions. Ideally you want to avoid a break in entirely but if one is carried out you want to not only be alerted but to scare off the intruders before they have chance to steal any of your possessions. For this you should install a burglar alarm in your garage. Hopefully it will send the vandals and would be thieves fleeing before they get their hands on your possessions and if you have installed CCTV as discussed above you may be able to identify the culprits without ever needing to confront them. To many prospective burglars your garage can be an appealing target. It is often much easier for them to break into a garage than a home without alerting anyone to their activities. In part this is due to the failure to equip garages with the same level of security as the home. But what further entices burglars is a garage that looks past its best. If it is not maintained your garage will stand out as a target. Burglars are opportunistic and don’t want to work hard for their steal so if your garage looks modern and secure there’s less chance you will even encounter a burglary attempt. Burglars want to go unnoticed, so they will likely flee at some pace if you shine a light directly upon them as they attempted to rob you of your possessions. A motion sensor light set above your garage is a great way to draw unwanted attention to burglars and it will definitely make your garage look less appealing (or at least too risky) to burglars looking for an easy opportunity. This point is not applicable to everyone but for those with windows on their garage this will need attending to. Windows are simply another point of access for burglars so even the most heavily fortified doors won’t be enough if the windows provide an easy break-in. Windows also allow burglars to peer into your garage when scouting for valuables for them to steal. By applying frosted glass or one-way windows you reduce the risk of an attempted burglary. Burglars are less likely to want to break in if there is no guarantee of any valuables stored inside. Secure your garage with these five points and be sure to explore the rest of the CCTV42 blog where we talk about securing your home, protecting your possessions, and buying CCTV equipment as well as some fun CCTV related topics such as home security in movies.